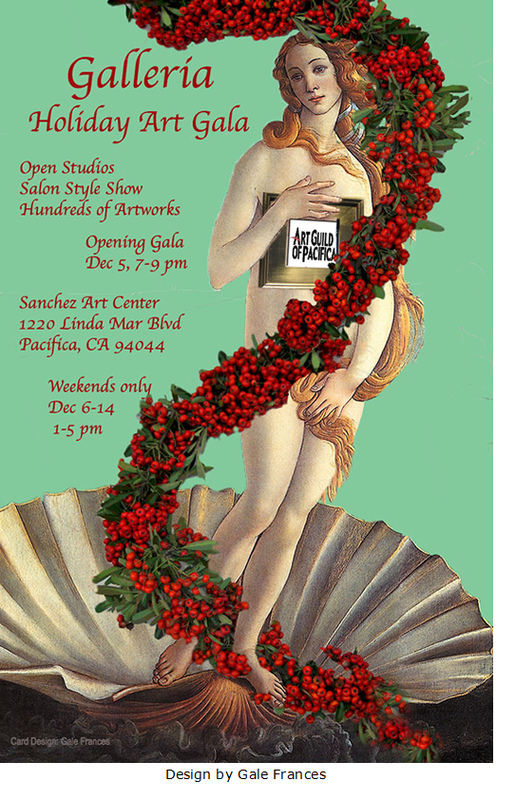 The Art Guild of Pacifica’s annual holiday Galleria begins with an Opening Night Gala on Friday, Dec. 5, 7–9 pm, and then continues for two weekends, Dec. 6–7 and Dec. 13–14, 1–5 pm, at Sanchez Art Center. Music for the opening reception will be provided by harpist Lara Garner and guitarist Vera Vanderschalk. Galleria is a multilayered event, with artists showcasing their individual art in Open Walls in the East Gallery, or participating in the salon-style show in the Main and West Galleries. In all three galleries, you can purchase the art right off the wall. Galleria is the perfect place to find unique items for the special people in your life, or that distinctive piece of art you’ve been looking for. All three galleries will be filled with artwork, including cards, ornaments, ceramics, books, and other small gift items. The Art Guild’s Gallery Store will be expanded for this event to allow AGP members to offer their smaller items. Galleria creates a wonderful place to come and spend an afternoon looking at art and talking with the artists, who will be there throughout both weekends, and visiting Sanchez artists who have opened their studios to visitors. Make Galleria your first gift-buying stop, and enjoy artful holidays this year! Sanchez Art Center is located at 1220 Linda Mar Blvd. in Pacifica, about 1.5 miles east of Highway 1. For directions and information on Sanchez Art Center: www.sanchezartcenter.org. 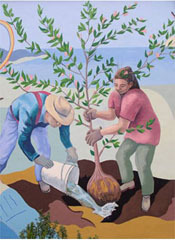 For information about the Art Guild, visit www.artguildofpacifica.org.